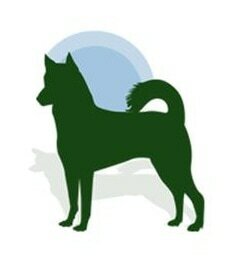 If you are a current owner of a purebred Canaan Dog and want to turn your dog into to rescue for any reason at all (not what you expected, relocating, primary care provider has died, breeder cannot take the dog, etc.) you have turned to the right place. Before proceeding, if you are attempting to place a dog from a shelter that looks like a Canaan Dog or an import from the Middle East, please read our FAQs section before contacting a Rescue Coordinator. Pictures - we prefer to receive the following angles for appropriate documentation: head shot, dog standing from left and right sides, and any other pictures that will show the dogs personality. These pictures will be used on our Web site. Surrender Agreement - be sure to complete this form. Word and PDF formats available on Forms page. Application for Assisted Placement -be sure to complete this form as well. This tells us more about the dog, his/her behaviors, what s/he eats, among many other things. Word and PDF formats available on Forms page. Please be sure your breeder knows of your intentions as most breeders require that you return the dog. If for some reason this is not possible, please let us know. Once you have assembled all the information identified above and have completed the required forms, please contact the Rescue Coordinator in your area. Application for Assisted Placement - be sure to complete this form. This tells us more about the dog, his/her behaviors, what s/he eats, among many other things. Word and PDF formats available on Forms page. Once you have all the information required above, please contact the Rescue Coordinator in your area. If you think you have a Canaan Dog or a Canaan Dog mix, please read our FAQs section in its entirety prior to contacting a Canaan Dog Rescue Coordinator.